her mother was a renowned pianist and her father -violinist and teacher. and Kocian Violin Competition. (1979), In Gorizia International competition she received a special prizes for outstanding artistic performance (1988 and 1989). After the audition with the famous violinist L. Kogan, he recommended her to study at The Tchaikovsky Conservatorium in Moscow. at Prague Academy during 1989 - 1992. From 1992, Ivana was persuing her active concert career. and in US and South Africa. they have established Duo Chamber Melange in 2010.
and at the Sir Zelman Cowen School of Music at Monash University. She is an examiner with AMEB (Australian Music Examinations Board). Ivana is an experienced chamber musician. and Trio Vivace (Australia - 6 years) - flute, violin and piano. 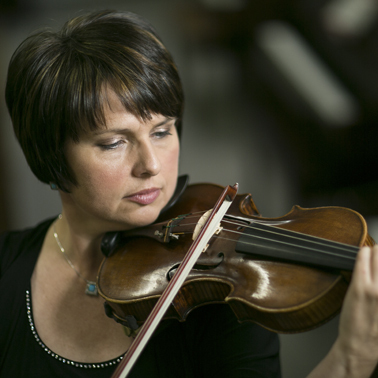 For 6 years she was a member of Czech Chamber Soloists - Chamber Orchestra.